Amazing photo of Angela Merkel from her early days as an elected representative. Contrast that with some of the other world leaders she shares a stage with. For over thirty years politicians in the UK were happy to blame the EU for every unpopular decision whether it had anything to do with Europe or not (a common problem in the rest of Europe, the UK ones just tended to do if more often and louder) . The result is that when Cameron made the mistake of offering a referendum the voters voted out – why wouldn’t they. They had been told for 30 years the EU was the problem. When they are outside they will discover that things are not that simple – Farage has even started rolling back on one of his biggest lies (the £350m extra for the NHS one) within hours. There are two big learnings. 1) Politicians need to actually be honest with voters. Offering easy, simplistic answers leads to people getting cynical about everything that comes from their mouths. The result is the rise of damaging populism across the democratic west. 2) Complex political problems can not and should not be reduced to simple yes-no questions. I am all for direct democracy, where it is right. But for big difficult questions, voters have shown repeatedly they struggle to take in all the information needed to make informed decisions. And instead, they decide based on unrelated issues (the Irish farmers voting down referendums because grant cheques are late), or with their gut. It is Politicians who are supposed to be the ones that bring in the experts, debate the issues and then make the decisions. That is why we have parliaments in the first place and don’t put every piece of legislation to the vote. If only where an easy answer to this. I like to demand realism and honest of my politicians. But the ones that give it are few and far between. Because in the short term, the easy “we didn’t want to do that, but the EU made us” gets them votes, and allows them to deflect blame. Note on the image: I am living in my 3rd European country. 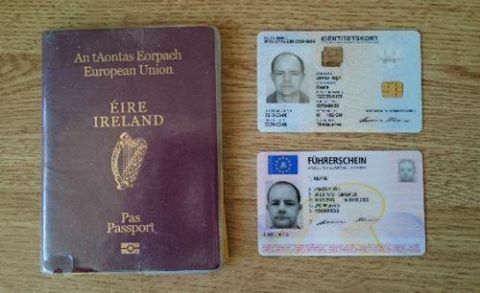 I have an Irish passport, Austrian drivers licence, and Swedish ID card. I consider myself a proud European. I would be devastated if my country had made the decision that the UK has. Fortunately it looks like everyone in Ireland, including the “ourselves alone” brigade are 100% clear that staying in the EU is a vital national interest.